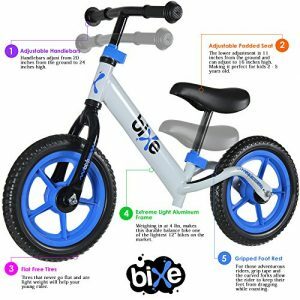 NO PEDALS, NO TRAINING WHEELS, NO PROBLEM: The Ace of Play Balance Bike removes the distraction of pedals so that your child can learn to ride by focusing on what’s important – balance. 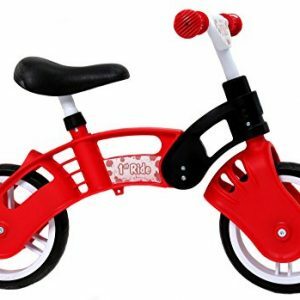 The Ace of Play Balance Bike provides the easiest, most efficient way for your child to learn to ride a bike. 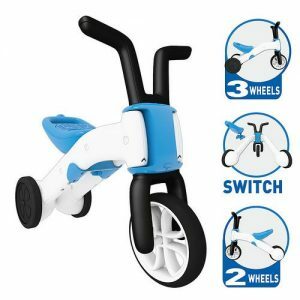 ADJUSTABLE FOR CHILDREN OF ALL AGES: The Ace of Play Balance Bike adjustable handlebars (21.5″ – 24″) and adjustable seat (13.5″ – 19.5″) ensure that your child will find the right fit. 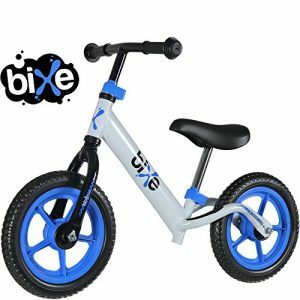 The Ace of Play Balance Bike grows with your child and is approved for up to 6 years of age or a max weight of 66 pounds. 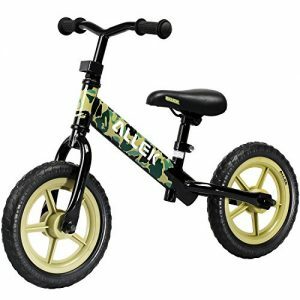 ALLEK BALANCE BIKE — Anti-rust Steel Frame with Camouflage Painted Surface, Flat-free EVA Tires, Adjustable Handlebar and Seat; Have The Rear Wheel Bracket, Easy to Place; Straightforward Picture Instruction, Easy to Assemble; Provide A Safe, Easy and Most Efficient Way for Children to Develop Essential Bike Skills. 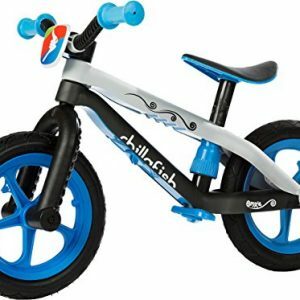 ADJUSTABLE HANDLEBAR AND SEAT — Steel Handlebar with Environmental and Soft TPR Grip Handle, Adjustable Handlebars Height is 22in-25in; Padded Thick Seat, Soft and Comfortable, Adjustable Seat Height is 15in-19in; Ensuring A Best Fit for Children from 18 Month to 6 Years Old. 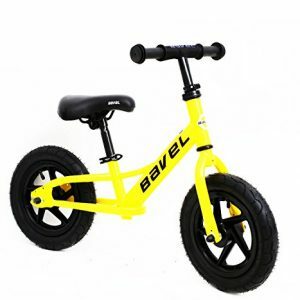 DURABLE AND FLAT-FREE TIRES — 12” Flat-free EVA Tires with Durable and Wear-resistant Characteristics, Adapt to Different Ground Surface Such as Playground, the Lawn or Trail, Better for Children to Ride. 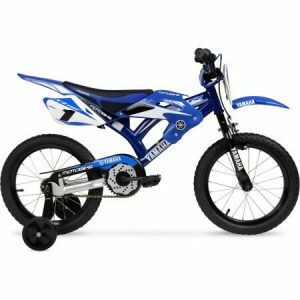 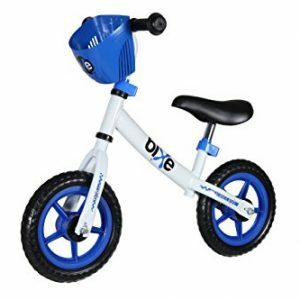 Best Balance Bike For Toddlers & Older Kids – Aluminum Sports Childrens Training Bicycle – Light Weight (4 lbs) Adjustable for Boys and Girls Ages 2-6. 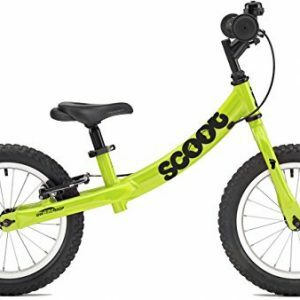 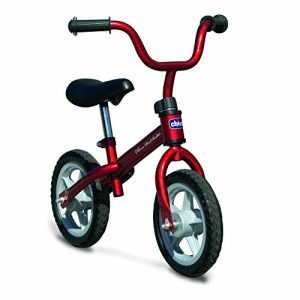 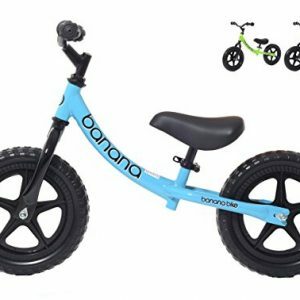 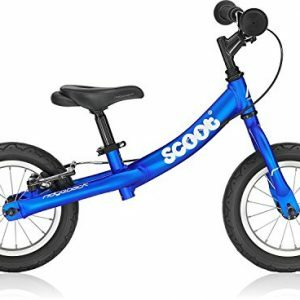 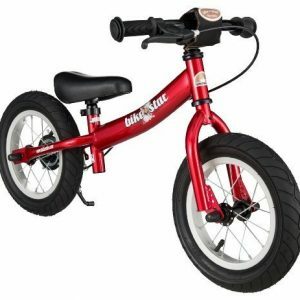 ✔ PRODUCT QUALITY: Our balance bikes have a high quality frame with strong welds and impact resistant, wonderful glittering metallic paint finish. 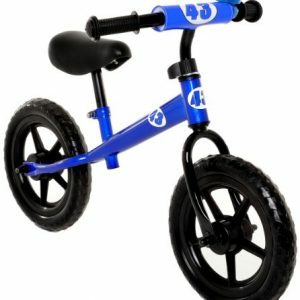 Modern and stable steel tube framework in a sporty und lightweight design. 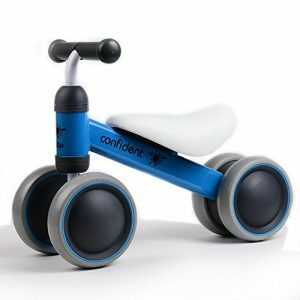 Wheels: Silent Anti-Skid TPE Wheels for Indoor and Outdoor Use/ Go From 3 Wheels to 2 Wheels Without Tools! 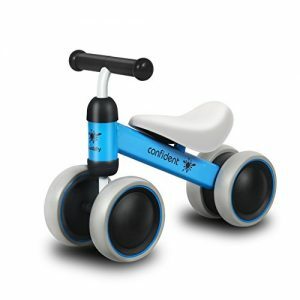 ULTRA-LIGHT BALANCE BIKE – Weighing just 6.4lbs, Costzon balance bike delivers effortless control & builds confidence in the smallest riders, no matter what terrain they choose to ride. 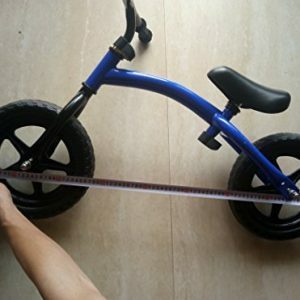 It will be one of the rare vehicle that your baby can lift by themselves. 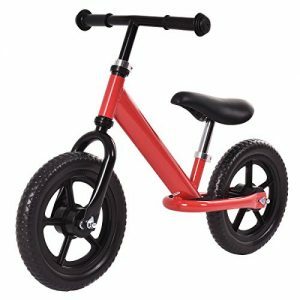 ADJUSTABLE HANDLE BARS & SEAT HEIGHT – Adjust the handlebar and seat to your baby’s preferable height to meet their different requirements on the process of growing up. 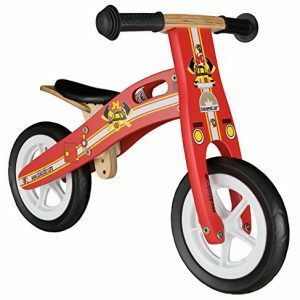 Suitable for babies from 12-36 months. 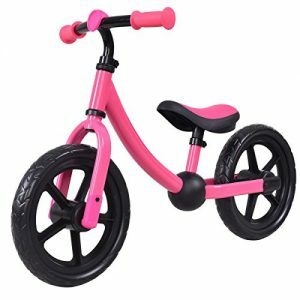 NO FLAT TIRES – It comes with flat-free EVA tires with ultra-light cores that ensure that you will never need to add air to these tires. 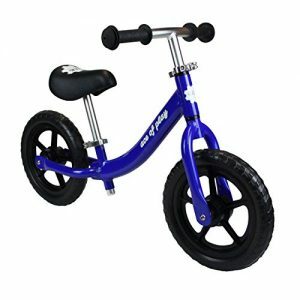 The long lasting wheels will stand wear and tear and ensure that the bike can be passed down from one young rider to the next. 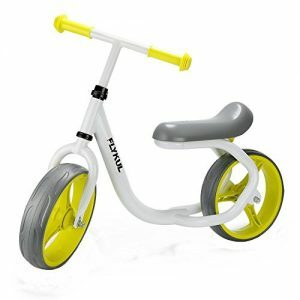 Adjustable Handle Height And Seat Height — This bike can be used for children from 2-5 years old which accompanies them for a long period of time.